A coalition of environmental groups will propose an energy resources plan to Massachusetts lawmakers today (9/29/2015) that they say could make the state more microgrid-friendly. Called the Global Warming Solutions Project, the group plans to testify before the Joint Committee on Telecommunications, Utilities, and Energy as it considers several clean energy bills. The various bills do not explicitly address microgrids, but the group is pushing provisions that could make it easier to develop microgrids and distributed energy. The first provision creates a faster-track to grow distributed solar energy, which is “crucial to grid resilience and microgrids,” said Josh Block, spokesman for the Conservation Law Foundation, an influential New England organization that is part of the coalition. Solar is expected to be a key generation source for upcoming microgrids. 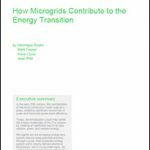 GTM Research estimates that renewable use in U.S. microgrids will grow more than tenfold by 2020. The environmental coalition is pushing for Massachusetts to remove a cap on net metering — which provides bill credits when a solar installation produces more energy than the building or host site uses. Massachusetts Gov. 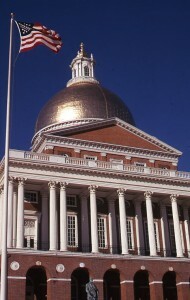 Charlie Baker also has proposed an easing of the cap (H. 3724). But the environmentalists say his proposal is too modest. They argue that solar is growing so quickly, the state will reach Baker’s initial cap in 2016. The group also is pushing for a new kind of compensation for solar energy installations in Massachusetts. Called a distributed system benefit credit, it would compensate solar for the benefits it brings to the grid and to society. For example, widespread solar installations may avert the need to build new power plants or make expensive grid upgrades. 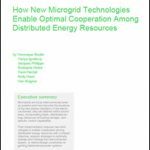 The second provision puts local energy, such as microgrids, on more equal footing with centralized utility infrastructure in competing to fulfill grid reliability needs. When local energy is used in this way it is sometimes called a non-transmission alternative, or NTA. Both Maine and New York employ NTAs. Boston also will be the site this week of a symposium on microgrid controllers. Details are here. By way of example, Block described a peninsula or rural vacation area that has a high and growing peak demand for electricity. The utility might propose a large new transmission line to meet that peak demand. The group’s proposal opens the door for local energy to compete with the transmission line. Competitive developers could offer an alternative to the line, perhaps a package of rooftop solar, combined heat and power, and energy efficiency, he said. The environmental groups also say they support a provision in another bill, S.1762, which would set state targets for energy storage. Sponsored by Sen. Benjamin Downing, the committee chairman, the bill would require that utilities secure a set amount of energy storage by January 1, 2020. The Department of Energy Resources would open a proceeding to determine the exact requirement. In addition to CLF, the Global Warming Solutions Project members include the Acadia Center, Appalachian Mountain Club, Clean Water Action, Environmental League of Massachusetts, Health Care Without Harm and Mass Energy Consumers Alliance. The group works in collaboration with Mass Power Forward, a new grassroots network of over 100 clean energy businesses, economic justice organizations, faith communities and similar groups. Track legislation that impacts microgrids by joining the Microgrid Knowledge LinkedIn Group.